Come Build Your East Cobb Dream Home – Great Area To Grow A Family! Nice East Cobb Building Lots Lassiter High District. 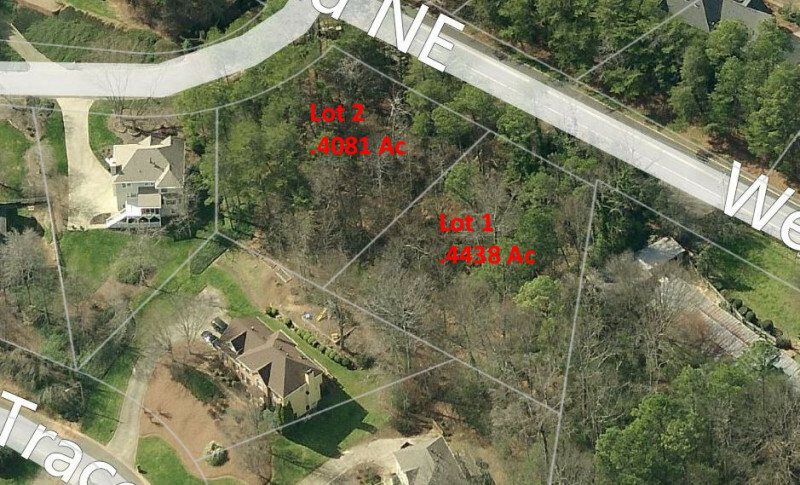 Two wooded lots (we have two lots side by side) just under 1/2 acre in the Lassiter High School district. Zoned R-15 and ready to build. All utilities present, buy both lots and join together for almost an acre lot suitable for a very large luxury home. $600-$750K+ homes being built nearby, and existing homes to $900K nearby. We can refer builders or bring your own. Option to join Creekside Bluffs HOA for swim/tennis access, or just use nearby Cobb County tennis and aquatic center facilities. Easy access to Hwy 92, Sandy Plains Rd, Johnson Ferry Rd, and convenient to shopping, restaurants, library, movies, and multiple Cobb County Parks and Rec facilities! Hwy 92 West from Roswell to Left on Sandy Plains Road, to Left on Wesley Chapel Rd, lots are on left just before Creekside Bluffs Subdv – look for Advantage Realtors sign post.